Thank you to the pupils of Broomhill Junior School for helping to make Jubilee Court’s garden full of colour for residents to enjoy! 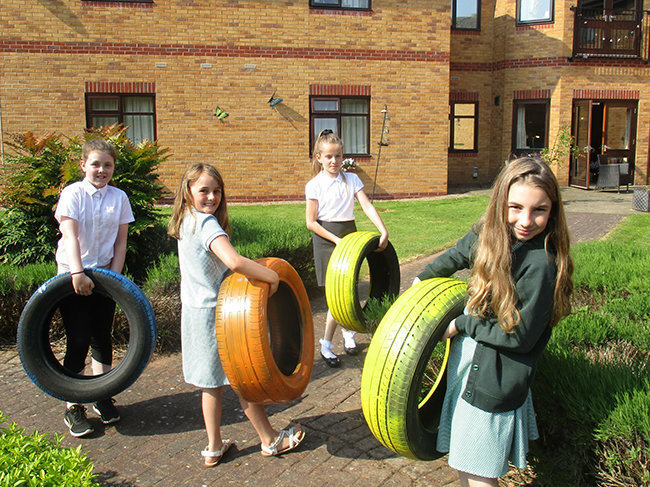 The children visited the purpose built, 75 bedroom residential care home in Hucknall as gardening and planting volunteers and their efforts in sprucing up the garden were really appreciated. 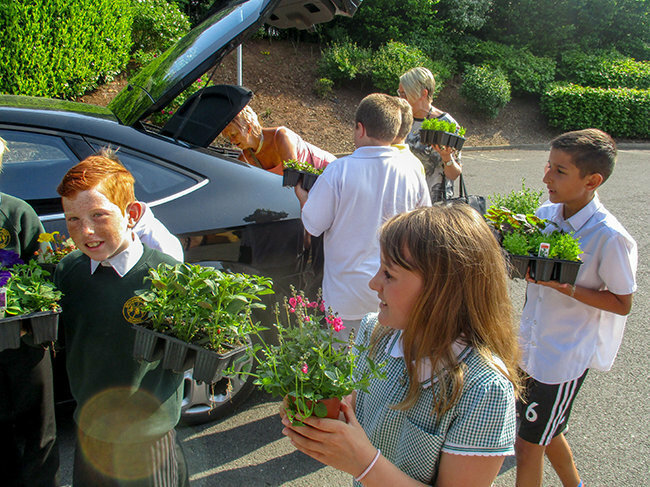 Our residents and staff love to establish and maintain relationship with other groups in the community and it was such a pleasure to have the help of our little green-fingered friends at Broomhill Junior School at one of our Nottinghamshire care homes, Jubilee Court. Jubilee Court care home, offers 24 hour expert residential care, dementia care, nursing care and short stay / respite care. To make a connection with any of our care homes, please browse around our website, www.runwoodhomes.co.uk.